For the past several years, we have engaged in important conversations about the ever-increasing role tuition revenue is playing in our changing funding model. As public funding for higher education has decreased, K-State has become more highly reliant on tuition and fees revenue as well as philanthropy to advance our university. Presently, our undergraduate student enrollment is the main driver for financial growth. Relying solely on successful undergraduate enrollment growth each year is unsustainable moving forward. 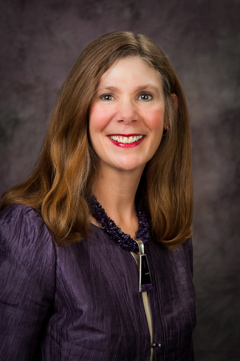 Last fall, President Schulz, Vice President Bosco, and I appointed an Enrollment Management Task Force to set enrollment goals and objectives for Kansas State University for the next five years. The task force also was asked to develop recommendations on how best to allocate resources to support future strategic growth. The Task Force submitted its recommendations in May. The report outlines a series of guiding principles to be considered in further development of a strategic enrollment plan. These principles are presented in four areas: new markets, undergraduate enrollment, graduate enrollment, and financial considerations. The Task Force made clear that "bold action" is needed now. The recommendations also addressed the need for taking a more data-driven approach in developing future enrollment strategies with careful analysis of potential return on investment. The Cabinet recently reviewed and discussed the Task Force report with the co-chairs. Pat Bosco, Carol Shanklin, Sue Maes, Marcelo Sabates, John Buckwalter and Derek Jackson have been asked to take the next step in defining an enrollment plan by developing specific action proposals consistent with the framework provided by the Task Force. Their goal is to have a report with proposed actions by the beginning of the fall semester. Moving aggressively with further strategic enrollment planning and new enrollment strategies is critically important to ensure K-State continues to thrive, not just survive, as a university as we adapt to "the new normal" of the changing funding model in public higher education.